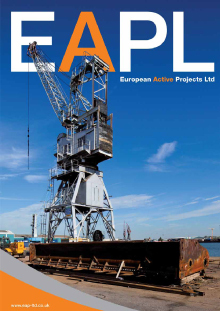 EAPL offer a comprehensive range of fabrication and repair around the clock to our clients and service the UK and the EU. We are able to either facilitate projects within our own network of operations within the UK or we can deliver the same quality and professionalism at the client’s site or facility. Our business is able to facilitate steel fabrication and installation work for marine projects and land projects from a small to a major repair. Our team in the UK is supported by enthusiastic professional experienced personnel who manage a workforce of dedicated hard working Class Approved operatives around the clock. The team of professionals are available to our clients to give advice and assist with procurement and resource management of their project. Safety and Quality are never compromised whilst delivering first class workmanship on competitive terms.